Gate was a European project looking to increase the use of timber for construction. It ran from July 2004 to December 2007 and was led by Forestry Commission Wales. 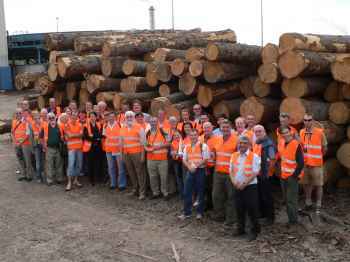 The project aims were to build new markets for timber in Europe, adding value to the forests and woodlands. The challenge for the five partner regions was to change the perception of timber as a traditional, old fashioned building material - and persuade architects, planners and buyers to put more beautiful wood into new buildings. The final summary report can be found on the link below.